Holiday dinners are a favourite here in our home. I cook the turkey, mom brings her famous cream cheese mashed potatoes, the homemade cranberry sauce is on the table and a variety of vegetable side dishes are served. The smell of dinner cooking, family gathered together and crisp winter air all make for a warm comfortable family experience. While Sweet Potato Casserole has not been a main stay of our family gatherings sweet potatoes definitely have been. 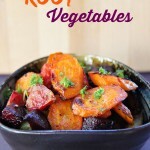 Whether made into roasted root vegetables or in a curried chicken and sweet potato stew. Cook sweet potatoes in a pot of boiling water, or bake. If baking, remove skin after cooking. Once cooked thoroughly set aside. In a saucepan melt coconut oil, add cinnamon, milk and brown sugar. Add sweet potatoes and mash until smooth. 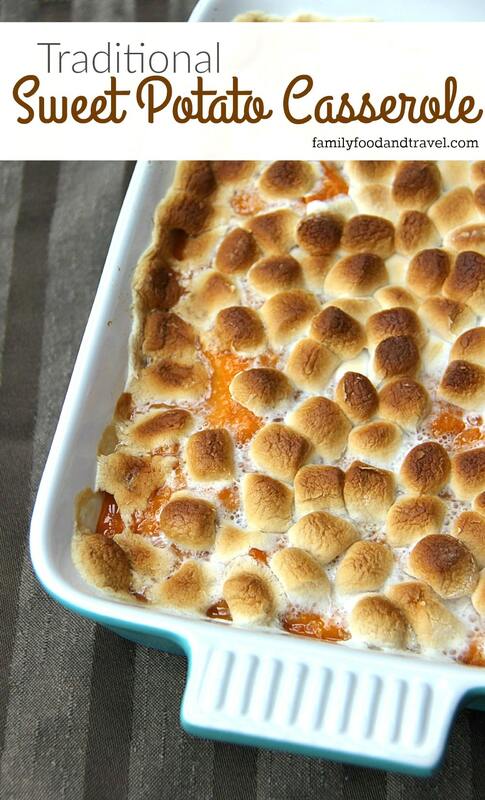 Transfer sweet potato mixture to baking dish and top evenly with mini marshmallows. Bake at 375C for 15 minutes or until marshmallows are browned. Trying out this dish is something I’ve wanted to do for many years but I never have the oven space to make it work. With a large turkey, my moms mashed potatoes and various other side dishes there just isn’t enough room for a casserole. 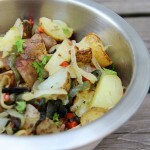 Enter Breville’s The Smart Oven and my holiday dinner problem is solved! With a countertop convection oven on hand possibilities are endless for a big holiday meal or a weeknight dinner. Included with the Smart oven is a 13″ non-stick pizza pan, 12″ × 12″ enamel baking pan and 12″ × 12″ enamel broil rack allowing for hundreds of meal ideas. The best part – the convection oven speeds your cooking up to 30% faster! In addition to these great options The Smart Oven has 9 pre-set programs to ensure perfect cooking every time – Toast, Bagel, Bake, Roast, Broil, Pizza, Cookies, Reheat and Warm. The Oven is easy to clean and has a built-in crumb tray to make clean up even easier. What we love best about having The Smart Oven is it functions as a separate oven for big meals or a smaller more efficient oven for everyday. It’s the appliance I didn’t know I needed and now couldn’t live without! Disclosure: Breville provided The Smart Oven to facilitate this review. As always, all opinions are my own. The casserole sounds divine and the oven sounds super awesome, too! My father uses a ‘toaster oven’ every holiday, when entertaining. This is just the sort of dish he would bake in it to help ease the load of the main appliances. Maybe I should get him an upgrade this year! Looks totally divine! I love sweet potato casserole and will be making some next week! I’m looking for a great sweet potato dish for Thanksgiving! Thanks for the recipe! This looks so good! I know my husband would really love something like this! I’m definitely keeping that oven in mind for when my current toaster oven completely stops working. And, we are NOT marshmallows on sweet potatoes people, either. It always comes out too sweet. I just love the petite size of that oven. It’s so much suited to the size dishes we bake with anyhow. I’ve never tried sweet potato casserole but I know my parents love it. I will give it a try as it looks so good and who can resist mini marshmallows. I grew up eating sweet potato casserole. It is a staple at our house during the holidays. I have not had a sweet potato casserole before!! This sounds delicious and would be perfect for Thanksgiving. Vera Sweeney recently posted..What’s Your #RedKettleReason? 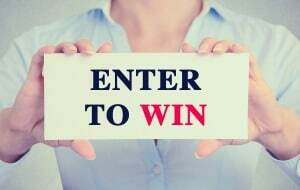 Plus Enter To Win 100 Gift Card! The Breville smart oven looks so convenient! I’d love to have one in my house with all of the meal prep coming up for the holidays! My Step Mom always made sweet potato casserole! I loved it as a kid. I really should start making it myself for the holidays. 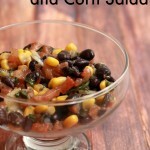 That looks delicious- I may make this for Christmas dinner. 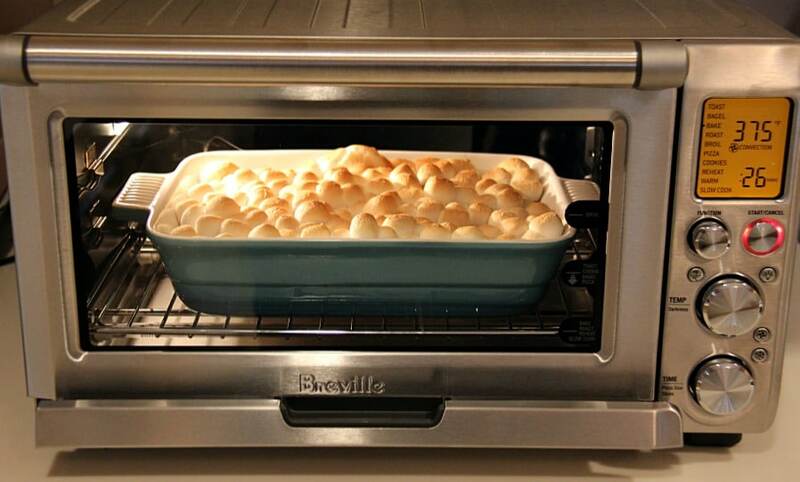 I’m really wanting one of the Breville Smart Ovens- that thing looks amazing! This oven sounds so handy. I would love to have one so I could duplicate your yummy recipe! 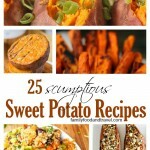 I love anything with sweet potatoes. And smaller ovens like this Breville are very handy. Your crumb tray is upside down! LOL! So it is! Oh my! I can’t believe I (or anyone else) didn’t notice until now. I promise it’s been the right way up ever since. My apologies!